A soothing and nourishing masque that infuses the skin with essential vitamins, minerals and natural botanicals. Clinical Care Skin Solution's Masquerade improves circulation, retextures and calms sensitive skin. A soothing and nourishing masque that infuses the skin with essential vitamins, minerals and natural botanicals. 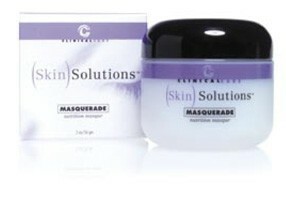 Clinical Care Skin Solution's Masquerade improves circulation, retextures and calms sensitive skin. Helps restore skin firmness and elasticity.